Sustainability comes in all shapes and sizes, but attention to detail and dedication seem to be two of the defining factors in running a successful event. 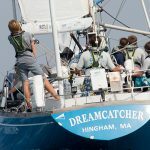 Sail Martha’s Vineyard has shared its secrets to sustainability success at The Vineyard Cup in its recently published sustainability report. The report focuses on two concepts – locally-sourced products and zero waste. 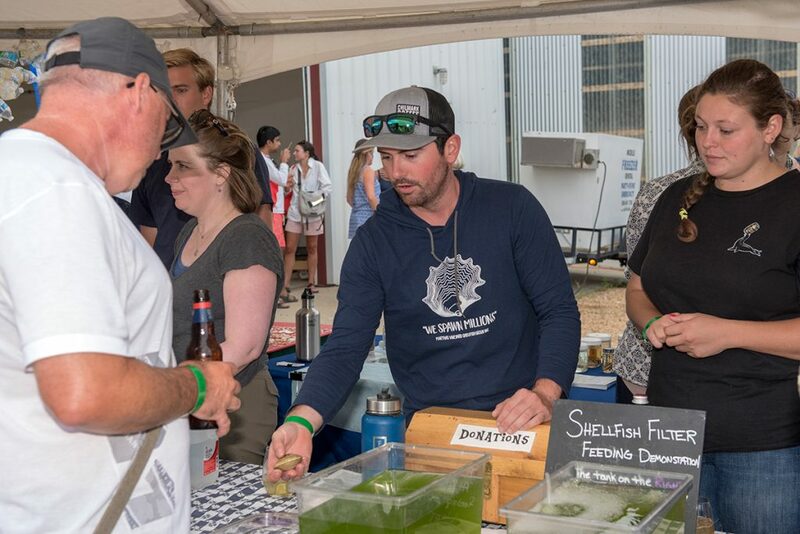 For the Vineyard Cup, sourcing local food meant connecting with the organization’s neighbors, including the MV Fishermen’s Preservation Trust. This meant fresh, local seafood for dinner, and a focus on a marine organization that helps keep the sport of fishing alive. Throughout the weekend, more than 900 meals were served, which also included locally sourced pork and vegetables. 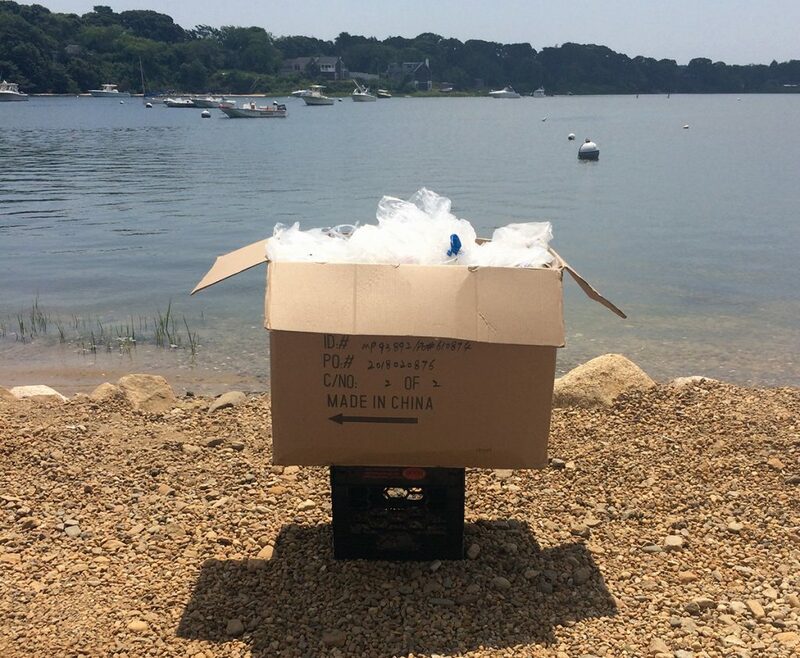 With 72 boats racing and more than 200 competitors, the Vineyard Cup could easily have created an excessive amount of waste, but prior planning and a well-run system ensured the event only produced three cubic feet of trash. The biggest trash generator? Thin plastic wrapping and ice bags. Both were necessary for sanitation purposes, but, unfortunately, are not easily recycled. The event managers credit reusable dinnerware as the key to reducing trash. 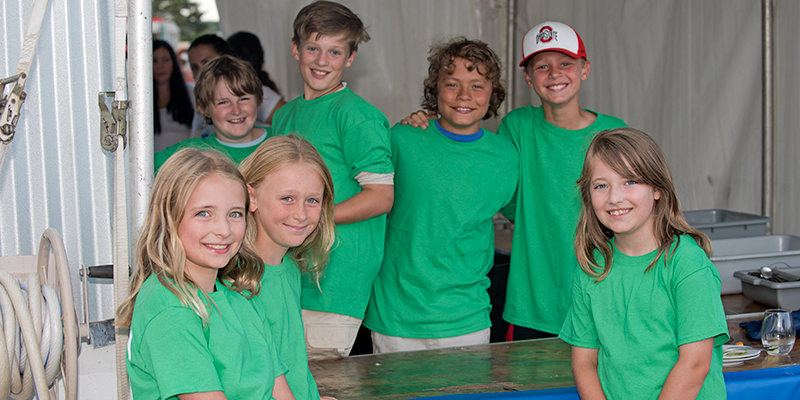 The event is staffed by local kids who participate in the SailMV Summer Program. Called the Green Team, the children make sure the adults sort their waste into the correct bins, including compost, recycling, re-use, and landfill. 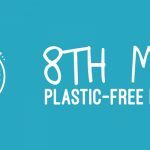 They also use paperless communication, instead of printing results, and reusable signage, which otherwise can create a large trash footprint. In an effort to spread awareness about ocean issues, SailMV created an ‘Ocean Awareness Tent,’ hosting seven local environmental organizations that provided learning materials and activities for kids and adults. 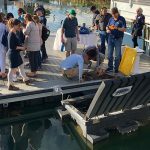 The groups included BiodiversityWorks, MV Shellfish Group, Great Pond Foundation, MV Fishermen’s Preservation Trust, Sailors for the Sea, Sea Education Association, and the Vineyard Conservation Society. Each group provided information about its focus and responsibility as well as an activity – from fish printing to canvas bag decorating, to understanding ocean acidification. SailMV also added a pledge for competitors and guests to sign in support of reducing trash in our oceans. 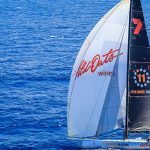 The 2018 Vineyard Cup achieved Platinum Level Clean Regattas Certification from Sailors for the Sea and plans to purchase carbon credits to offset the carbon footprint of this event. 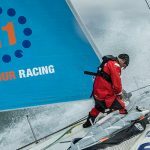 11th Hour Racing is proud to support the Vineyard Cup and share its sustainability report, which details how these accomplishments were achieved. 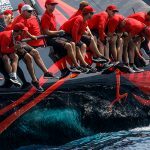 Additionally, the organization has created a guide for replicating these sustainability efforts called the Sail MV Guide for Hosting a Locally Sourced / Zero Waste Regatta.